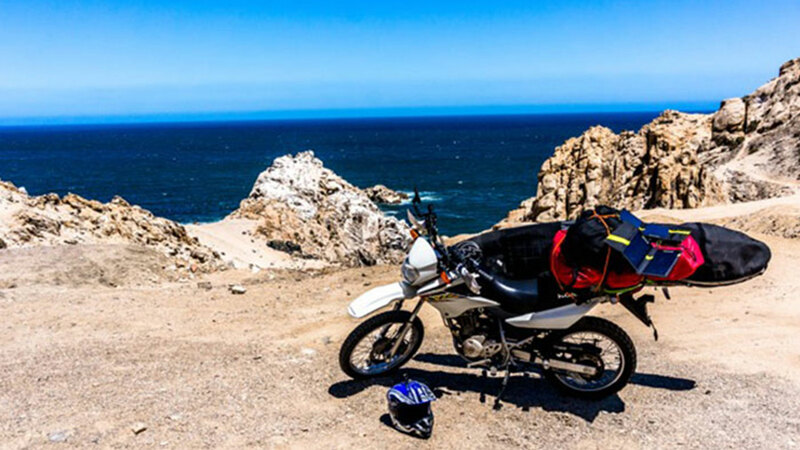 Living like a nomad on the back of a motorcycle in search of surf breaks in far off lands is usually the stuff of legend or well funded pros, but it doesn’t have to be as our Finnish friend, Ilmo Niittymäki, recently found out as he ventured to South America for the first time. A long time friend and member of the infamous–but now extinct–Volcom Club in Finland, Ilmo now lives in Hossegor, France, and makes a day-job out of managing his fellow countrymen as they travel the world snowboarding. And when he’s not working, you’ll find him floating around the line ups of south west France, shredding in the Pyrenees and cruising the local concrete formations. The dude definitely has the bug. 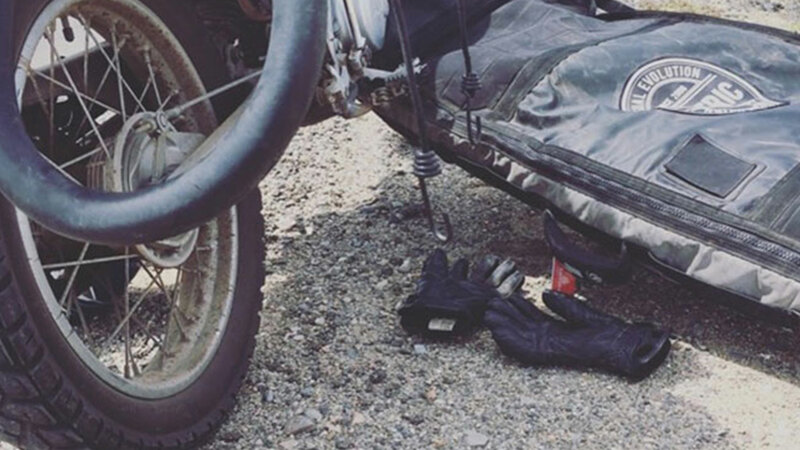 Also crazy about motorcycles, Ilmo’s principal mode of transportation these days is a 1982 Honda CB 750, so when the opportunity presented itself to leave the French and Spanish coasts behind for a motorcycle trip up the west coast of South America, he leapt at it. 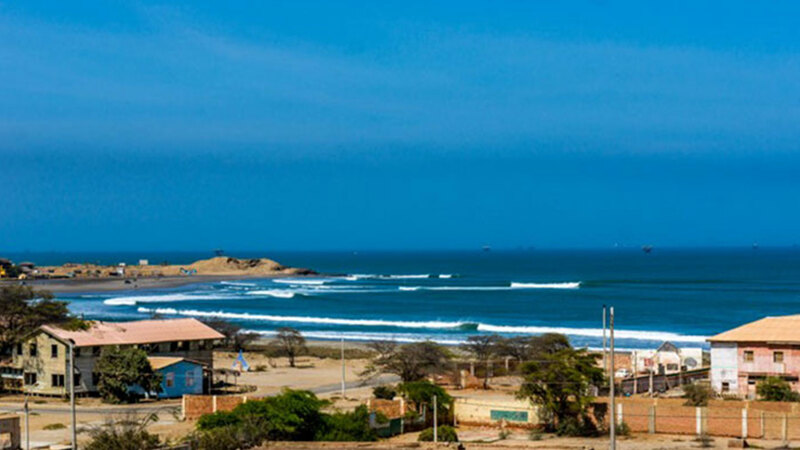 Traveling halfway around the world, Ilmo concocted a vague plan to follow the pacific coast from Chile up through Peru and on to Ecuador, giving himself 3 months to make the trip so he would have ample time to stop and do plenty of exploring and surfing along the way. 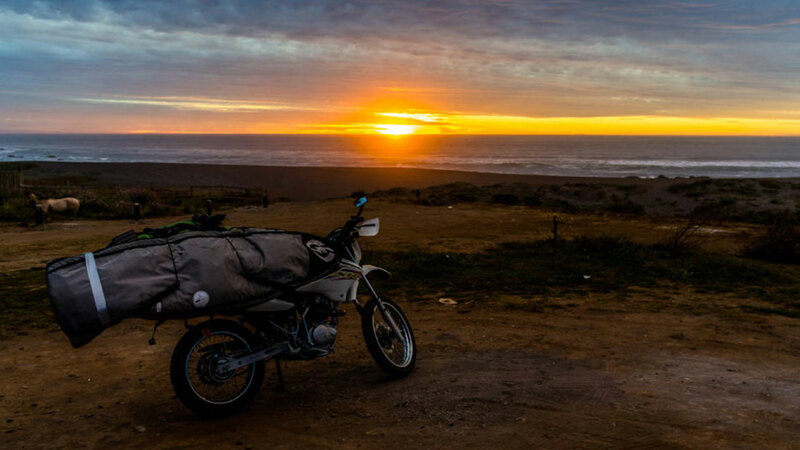 After jumping through a few bureaucratic hoops, Ilmo managed to purchase a Honda XR 125 to which he mounted a board rack and strapped his bag on top of, ready to make the 6,000 kilometer journey on his severely underpowered “baby” bike. Aside from the dust, sweat, frozen fingers, relentless winds, flat spell and a couple major hangovers, there were the run-ins with various authorities. 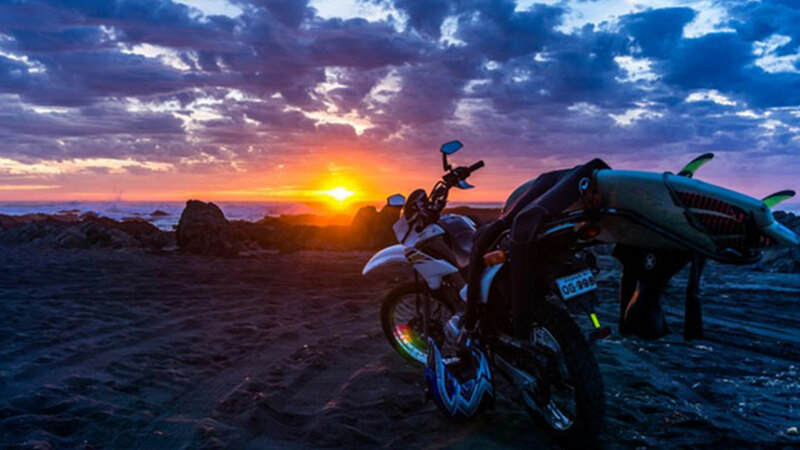 “When I was denied exit from Chile to Peru with my bike and being held at gun point by the cops when I was free camping on a beach in Peru”. 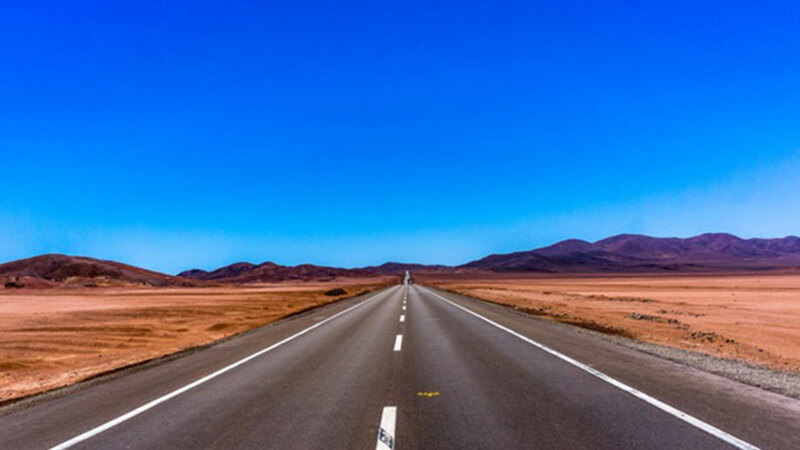 Able to eventually sneak through the border on a second try and talk his way out of the situation on the beach in Peru, Ilmo’s luck continued when he nearly found himself out of gas in the middle of the desert. But aside from that and getting his Volcom boots stolen from one of the hostels he stayed in, the highs of the trip more than outweighed the lows. A single pair of Volcom jeans were the only pants Ilmmo brought on his journey. 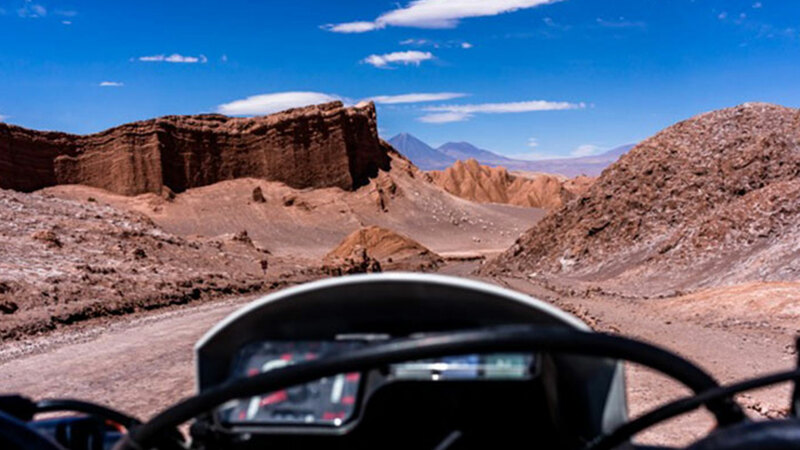 Read about Ilmo’s entire journey including his time pre-motorcycle in Patagonia and Easter Island on Latam Airlines Next Stop Latin America blog and give him a follow at @ilmoveli on Instagram to see more of his adventures. 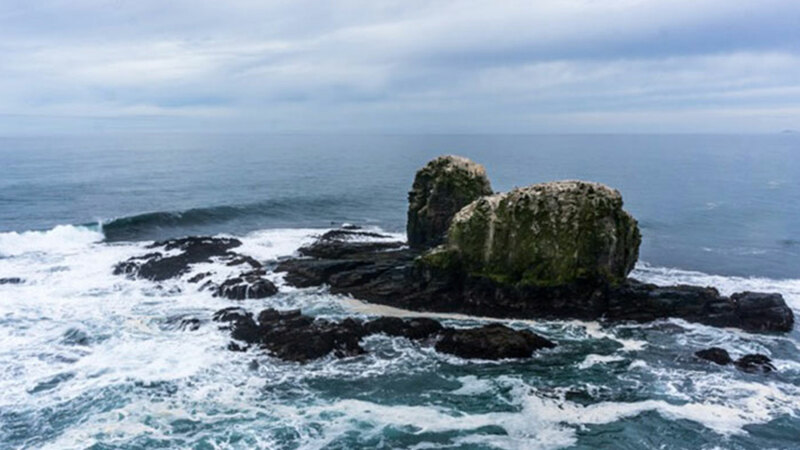 Pick up a pair of Volcom Stone Made jeans, the only pair of jeans you’ll need on your next journey.